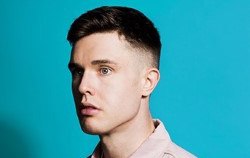 Two work in progress Edinburgh previews from Ed Gamble & Nathaniel Metcalfe. �5 in advance to guarantee a seat or Pay What You Want on the night. Ed Gamble started his comedy career performing with the Durham Revue, and was a finalist in the 2007 Chortle Student Comedy Awards. He co-presented The Peacock and Gamble Podcast with Ray Peacock, as well a radio series on FUBAR Radio and three Edinburgh Fringe Shows between 2011 and 2013. He debuted his first solo show at the Edinburgh Fringe in 2014, and taken his two most recent shows on a nationwide tour. Beginning in 2015, Ed starred in two series of Almost Royal which was shown in E4 in the UK and BBC America in the States. That same year he became a regular panellist on Mock the Week as well as performing twice on Conan in the USA.